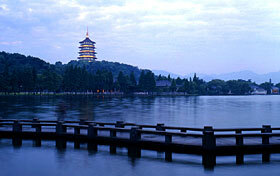 Hangzhou hotels: discount reservation system offered by chinahotelsreservation. Hangzhou overview about your needs regarding your stay, included instructions about tours and inexpensive solutions for hotels and rooms arrangement. For detailed Hangzhou hotel information or to reserve a hotel please click on Hangzhou Hotels list. Hangzhou has been always world-famous for the scenery beautifully, is key scenery tourist city and historical cultural city that the State Council confirms. There are beautiful geomantic omen holes, big clear valley, the volcano big stone valley in the scenic spot of Hangzhou, the plain boiled water ravine, the Western Paradise beach in Zhejiang, the Great Wall of stone, Liu XiJiang, the cultural museum of the south of the lower reaches of the Yangtze River, the gully ditch, day Zhong Mount, exceedingly high cliffside waterfall, the ancient town of Longmen, China ancient papermaking print cultural village, rich spring Land of Peach Blossoms, musical instrument small stream fragrant valley, Yang NaiWu and Xiaobaicai strange case hall, the garden rock sea of Lang, 400 kilometers keep in good health in the garden, the pool scenic spot of the green scene of Hangzhou, the source of Tai Hu, the park of emperor's tomb of Qiangwang, the wild animal world of Hangzhou, the eastern cultural park of Hangzhou, big bright mountain, the lake of Thousand island, the botany of Hangzhou, the West Lake of Hangzhou, future world of Hangzhou, big kind rock, the paradise of Hangzhou, west Grand Canyon of Zhejiang, Lin fairyland of precious jade, hang down the cloud exceedingly high river, the bamboo sea drift of one pair of small streams . 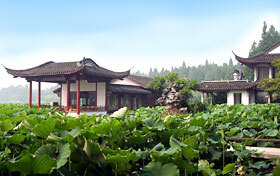 Popular topics related to Hangzhou city: Famous West Lake of Hangzhou, the capital of Zhejiang Province, ancient capital of China, ancient homo sapiens (lived in this area), great rivers: the Great Canal, Fuchun River, Xin'an River and Thousand-Island Lake (two rivers and one lake), Tianmu Mountains Nature Reservation, Broken Bridge, the Baoshu Pagoda , the Three Pools Mirroring the Moon, Yue Fei Temple, Six Harmonies Pagoda, Huagang Park (Flower Harbor Park), Yellow Dragon Cave, Chinese Tea Museum. For more information about this topics, you can consult: Transport, cuisine and general information about Hangzhou, Top attractions and landscapes in Hangzhou, History, geography and economy of Hangzhou.